Project Managers are stressed, looking for the next problem and it shows. It different with Geoff, he seems relaxed, having fun and can make you smile. He had his share of stress and decided to take it easy and have fun. He talks about his journey and what a great person to talk to. It happened sort of by accident. I had been managing projects in a small way for some time, although I hadn’t really considered myself a project manager. I wouldn’t actually hear that term for a few years yet. I was just a kid working for a global bank that closed its Toronto office (where I’d been working). In recompense, they offered me a job in the Far East, to build a trading floor. I had no idea what to do, but I figured, well, if it’s a total disaster, at least I got to go Asia. I hit the ground running and just started “dealing”. People threw problems at me that I had no skill in managing, so I did the only thing I knew how to do. I started making connections: “this person over here should do that, do you know so-and-so? That person over there is the right guy to get that job done”. I adopted a strategy of keeping the communication flowing and never fully letting go of any pieces. And I worked hard. The bank was happy with my work and offered for me to stay for “a year”. Right, so ten years later, I finally left. By that time I’d taken hundreds of projects on, so I guess somewhere in there was where it happened. 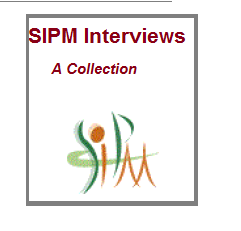 Any incident you might want to share from your very first day in your role as the project manager? I’m not really sure exactly where I became “the project manager”. It happened by degrees. But I’ll tell you of an early project where I agreed to build a trading portal for high net worth clients in Asia. From scratch. In three months. Sheesh. That sparked a crazy debate where they all stopped looking at me and gave me a chance for my armpits to stop sweating from the scrutiny. I learned a ton of important lessons on that particular project; but on that day, I learned to deflect pressure away from myself so I could give myself space to think clearly. 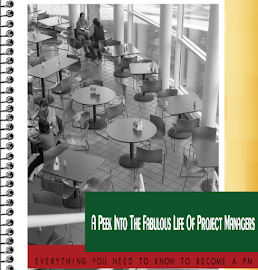 What, according to you, are the pre-requisites to become a project manager? If you’re asking me if there’s a silver bullet credential out there for a project manager to get and be successful, I don’t believe there is. 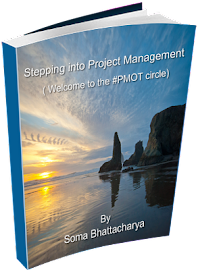 There’s the PMP and other similar types of certifications you can get, but all they do is teach project theory. Don’t get me wrong; theory has its place, but it can’t prepare you for the realities waiting for you on the ground. From my perspective, a project manager needs a big set of ears, resilience and a ton of guts. If he or she comes to a project with those three things, they have what it takes in my opinion. Sadly I’ve watched a lot of project managers with a lot of letters after their names flounder over the years. It’s easy for new project managers to get overwhelmed by all the moving parts, the irate stakeholders, and the fact that once a project gets underway, it becomes an unstoppable whirlwind that’s very easy to lose control of. Active listening, fast and direct communication, and the ability to both roll with the punches and stand up for what they believe in are tools every project manager must possess. Your persona over twitter seems very fun and yet at the same time you mention you are stressed managing projects and want to spend more time with family. So talk to me more about how stressful it really gets. I think I said, “I’m tired of the stress” of big projects. And yes, it does wear on you after awhile. Age does some great things for you in terms of putting things in perspective, and helping you find paths of least resistance. You need that because age also sometimes makes you fall asleep after lunch drooling at your desk (with the younger office staff pointing and giggling at you through the glass). When a project gets particularly hairy, it can be tough finding the energy to keep things moving if you’re not super efficient. In my later career, I had the pleasure (?) of managing a portion of a spectacularly complex program. This beast ate people up and spat them out. It was a joke that a senior partner at the firm I was working for started to include “not for the faint of heart” on resource requisitions. I was responsible for nine parallel software releases on antiquated hardware from the 1960s and 1970s, each of which interfaced with every major national bank. Each bank had no less than 50 separate interfaces, and a dearth of testing environments. The program included resources from competing vendors all of whom were jockeying to be “the vendor who really knew how to do things properly,” and so would regularly put people down in very public daily status meetings with dozens of people. Add to that: mechanical failures, regression, a ridiculous number of development environments, and layer upon layer of management to plug holes, and you can kiss your budget goodbye. I would dream at night about huge columns of red numbers toppling over and burying me. In a case like this, you can do a very thorough job of planning everything out, but the plan becomes something reviewed each and every day. You look at the issues du jour and reprioritize on the fly, throwing process out the window in favour of just making a tiny bit of progress before a week is through. The important thing to remember is to just keep going. No matter what happens, don’t stop. If you make progress, celebrate it for what it is, even if, in the grand scheme of things, the progress seems infinitesimal. Don’t be shy about raising issues either. Be loud and be heard above everyone else. Stakeholders and executive management may not like what you have to say, but they can’t fault you for withholding information. So, what are you focusing more on now? Tell us about your website. At this point I guess I’ve tried to reinvent myself a little to change with the times. These are much leaner years and I want to position myself to continue doing what I always loved as part of my job as project manager, which is guiding people. I’ve hung up my hat as a PM, and am now taking up the mantle of project coach. Papercut is about making sure project managers have the right resources at their disposal to enable them to do their jobs. I provide free collaboration tools for clients to manage their engagements, and an expert eye to watch out for the constant pitfalls that plague all project managers. When my clients run into problems, I pull from my own library of tools I’ve built over the years and teach them how to use them. This way I can provide client organizations with my expertise, at a fraction of the cost had they hired me outright. And when I’m done, the organization has a project manager who’s learned on the job without as much pain. It’s very easy to let a project consume you. You can create vicious little circles where you spend so much time on the project that your non-work life suffers. That creates more stress in the long run, which then spills over into the workday, causing you to work even harder on the project to compensate for your reduced attention. At the end of the day, a burned-out project manager is a wasted resource. Know your limits going into the project and plan it out such that your limits don’t have to be tested. The project needs you to see it all the way through to the end. If it all goes south despite your best efforts, remember, it’s just another project. A comet is not about to come crashing into the earth because it didn’t go well, and the seas are not going to rise up and swallow you whole. The project will get corrected or cancelled, and another one will take its place. Care about your project; just don’t care so much you become a liability. The most difficult thing of being a project manager that no one really talks about. There’s loads of literature on analytics and best practices and the like but what I don’t hear enough about managing expectations. When you say you’re going to do something, no matter how flip, no matter in what context, it’s absolutely vital that you follow through. Basically, if you say you’re going to do something, do it. Maybe because that’s such a simple concept to grasp, people think it’s easy. Let me tell you that follow-through is one of the most difficult parts of managing any project. With all the stakeholders, vendors and team members you have to work with, from one meeting to the next, you find yourself making more and more promises—even small ones that seem easy. It doesn’t take long before you find yourself overwhelmed with promises you have to make good on. The people you’ve made them to won’t care that you inadvertently bit off more than you could chew and forgot about what you said—a promise is a promise. It only takes one broken promise made to the wrong person. As soon as that happens you start a domino effect through the people on your project because, of course, they talk amongst themselves. You don’t get a chance to defend yourself against gossip. It’s very easy to damage your reputation on a project given the breadth of communications you’re responsible for as a project manager. So take great pains to manage yourself and your capacity before you blurt out a promise to someone you don’t actually know that you can handle. I have really enjoyed this interview and to know more or connect with him, click here. Hi Geoff - I've just found you on PaperCut and I think this blog interview with you was pithy and concise and I'm glad you did it!